Discover the perks of your library card! 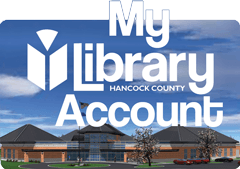 Find materials in our catalog - Access to thousands of books, movies, music, audiobooks, magazines, and more. Downloads - Download e-books, audiobooks, music, magazines, and watch movies and animated picture books. Research Tools - Access our subscription databases for information you can't always find with a search engine: genealogy resources, business and investment research, legal forms, newspaper archives, and more. Learning Tools - Free software training, language learning, practice tests, and live tutors..
Get Help - Can't find what you're looking for? Get in touch with one of our information professionals.